Originally, I had typed "My First Audio Collection" as the subject line here. But hey, why bury the lead? 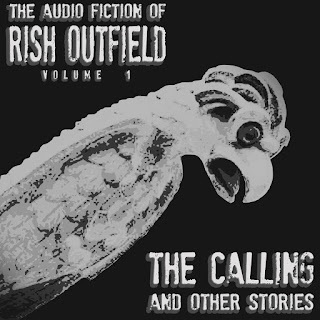 Currently available exclusively on Audible.com is "The Calling: The Audio Fiction of Rish Outfield Volume One." 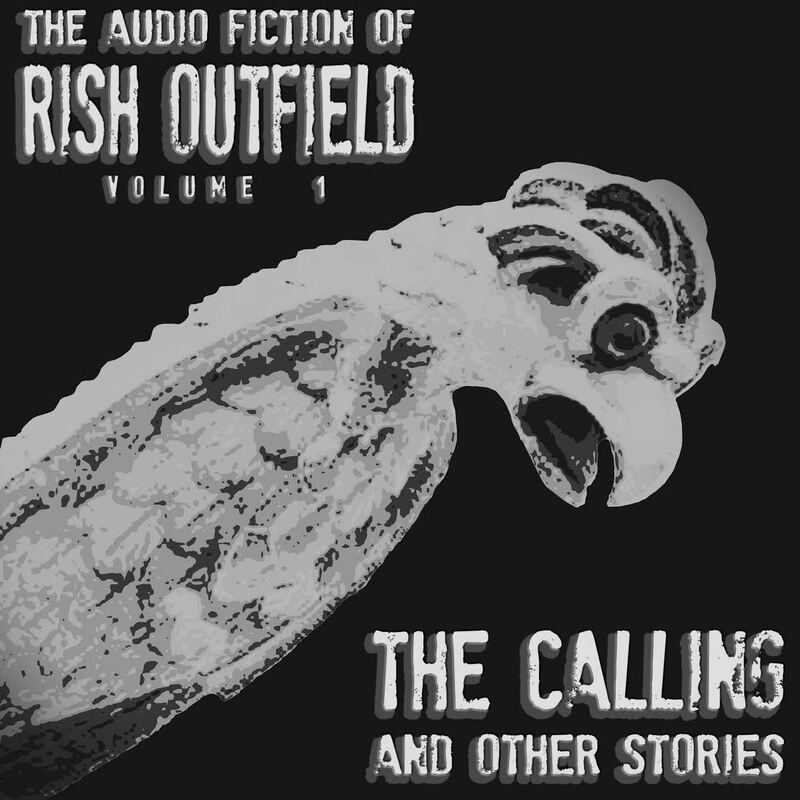 It's a collection of a dozen or so short stories, narrated by me, and all together in one place. It also includes a couple of irritating pieces unavailable anywhere else (I believe this was Big's idea, who used to tell me I was wasting my time when I'd write microfiction, unless, as he put it, "you put it into a story collection as a sort of bonus track"). The tiny stories are in italics. My pal Gino Moretto created the cover for me . . . and look at that little "volume 1." What do you think of that? Before life got hectic once again, I was starting to compile material for a second volume, and I discovered that, without recording anything new, I have enough material for four or five more of these collections. * Of course, I do keep recording stuff, new and old, and if I ever feel ambitious again, you'll be able to listen to it. In the meantime, check it out if you get the notion. I know you'll get to like it if you give a chance now. Yeah, that was from The Locomotion, what about it? *This reminds me of something I heard about Johnny Cash. His wife June Carter Cash died in 2003, and Johnny died four months later. But during those four months, he went into studios and absolutely buried himself in work, recording track after track. Then he passed away, and a couple of posthumous albums were released . . . but the producer of those albums said that there was still around SIXTY songs recorded by Cash that have yet to be released. Wow. Of course, I'm not comparing myself to Johnny Cash. But still . . . This is awesome. I'll probably still listen to Into the Furnace first, since I've heard some of these already. But I think this is one of your smartest moves by far business wise. These stories have the best opportunity to be sold packaged together like this, the cover art is solid, and with it being volume 1 you've let your listeners know more is on the way. Just downloaded this today. Excited to see new tales and a few old favs. Booyah! 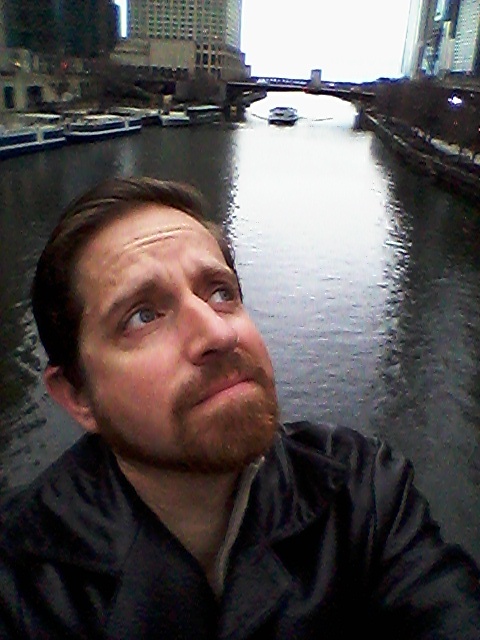 Rish Outcast 58: And Then What Happened?